Mark flew with the British aerobatic team from 1991 to 2009 representing Great Britain in the European and World championships on 11 occasions. He was placed 3rd in the World at Advanced level in 2002 and with 2 placings in the top 10 at Unlimited (2007 & 2009). Flying in the World Air Masters in 2011 Mark was placed 3rd. 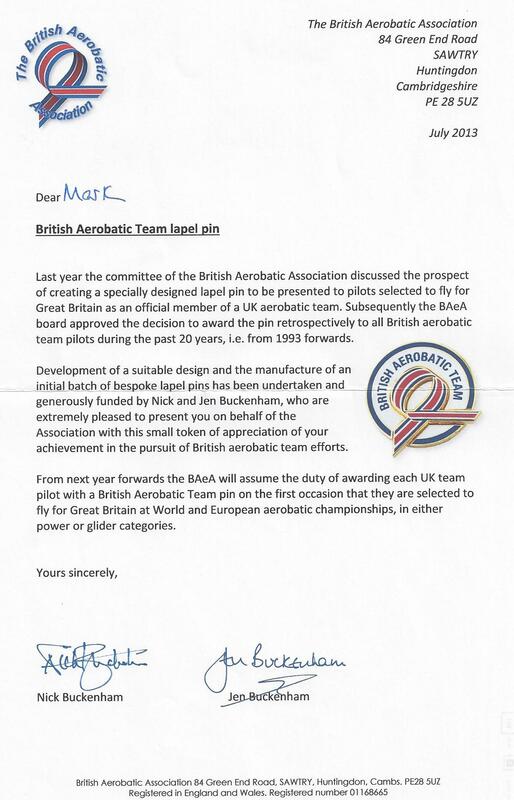 Being a member of the British Aerobatic Association for many years these achievements have been recognised with the issuing of a quality lapel pin. Thank you BAeA.